To conform with PUWER (Provision and Use of Work Equipment Regulations 1998) welding machines are required to be electrically inspected annually. This is not a PAT test as this is not thorough enough, a machine can pass a PAT test and still be dangerous to use. All electrical testing is to BS EN 60974-4:2016, which ensures your equipment is working correctly and safely, lowering the risk to employees and helping to meet your insurance requirements. Validations of welding equipment is to ensure that the welding equipment is suitable for the intended purpose. Ensuring it functions correctly and produces the desired welding parameters as per its operation characteristics. If required validations must happen at least once a year. Some may require it more frequently depending on the work being carried out use of the machine. Since July 2014, all Structural Steel work and Aluminium must conform to CE marking BS EN 1090, the validations we offer will help you comply with this. Under PUWER welding machines are required to be kept in good repair, this means they should have a periodic inspection every half a year by the owner or user and an official service at least once a year by a fully trained, competent Service Engineer. Most manufactures state a service schedule, noncompliance with this can void the warranty on new machines. Gas testing should be carried out at least once a year, working with any compressed gas can be dangerous to both life and property. Gas and oxy fuel equipment should be tested regularly to ensure it is operating safely and within maximum efficiency. Rapid offers a fully comprehensive and cost-efficient gas testing service. 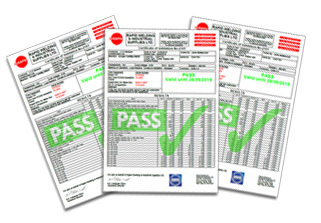 Gas equipment is tested to B.C.G.A CP7: REVISION 7 2014 and CP47:2018, the latest standards. A certificate will be issued when equipment is compliant, this provides written evidence that you are proactively following H&SE and PUWER requirements. This information given in as guidance and varies depending on the equipment in question and the environment it works in, including the amount of use. These tests stated are covered in numerous health and safety acts and legislation's which can have a negative impact on a business and trading. We are ISO9001 registered, so you’re assured of a quality service. We employ 5 full time service personnel, over 3 sites, and hold a large stock of repair parts for a quick turnaround of your machines. All our engineers are fully factory trained by major suppliers, meaning we’re a fully approved warranty and repair centre for all our brands. Your machines are repaired by competent trained engineers, saving time and money. All our test equipment is in calibration back to national standards. This means you can be sure our testing is accurate. Calibration certificates for our test equipment are easily available online. We have a fully equipped machine workshop, allowing fabrication of parts for older or obscure machines. This means we can work on machines where parts are no longer available, extending the lifetime of your machine fleet. Machine asset list, with historical service / repair information and costs available on our customer portal (machines we have validated or worked on). Let’s you easily see which machines are costing you most money on repairs. Machine Inspection and Validation Certificates and Product Test Certificates are available any time online, with easy access for you. As well as planned maintenance and service contracts we can also provide ad-hoc repairs on all types of machines. Hire machines are also available from our sister company RentArc Ltd at a discounted rate for service customers, to keep your welders welding.